Applying loose mineral foundation? Well all you need to do is ‘swirl, tap, buff’, right? WRONG. PRIIA’s loose mineral foundation is applied differently. It’s a better application process that is more kind & gentle to your skin (especially if you’re acne-prone) AND gives you better results! PRIIA’s loose mineral foundation is already formulated to adhere really well to the skin so there’s absolutely no need to do any crazy swirling and buffing. All you need to do is our easy-to-learn 3-step ‘Stamp & Blend’ technique! 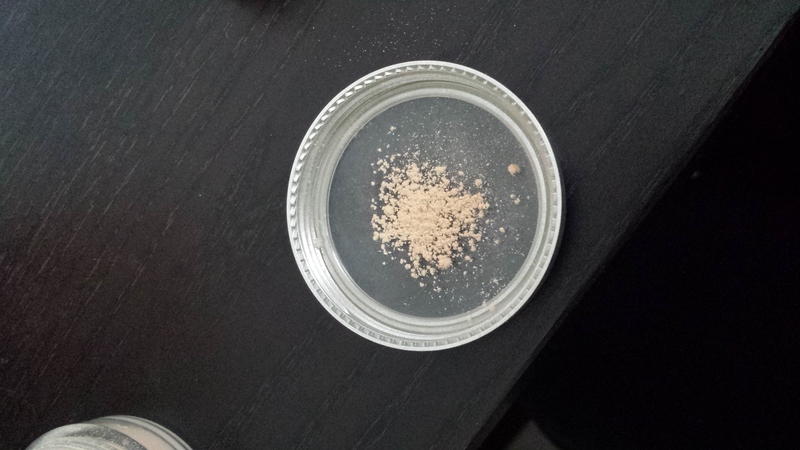 Dispense a few sprinkles of foundation into the lid of your jar OR into your Minerals Mate Tray. Dip the head of our synthetic Flat Top Brush into the dispensed minerals making sure to really press the brush head into them. You want the minerals to be loaded well into the brush head. Starting at the outside edges of your face, gently ‘stamp’ the brush head onto your skin and then go back and blend downward in one direction. Go back and repeat this process working toward the inside of your face until you reach your desired coverage. 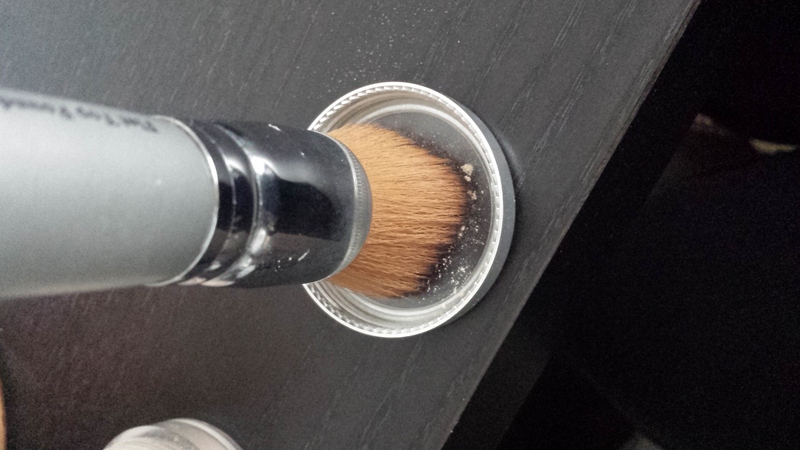 PS- blending downward also helps to lay fine facial hair flat giving the skin an overall better appearance! Before applying your loose mineral foundation make sure that any skin care products you’ve put on your skin have had a chance to fully absorb. If not, your minerals will adhere to spots making the end result look patchy and splotchy. Apply our Acne-Safe Foundation Primer BEFORE loose mineral foundation application to increase the longevity of your foundation. All you need is a pea-sized or less amount of primer to get the job done. Got large pores? Make sure to really press the foundation into the areas of your face that have enlarged pores (generally this is in your T-Zone). Basically, you’re “filling in the holes”. Don’t worry- our products will NOT clog your pores so press away! This entry was posted in Expert Application Tips Revealed!, PRIIA Mineral Makeup and tagged acne, acne safe, beauty, beauty tips, brush, foundation, loose mineral foundation, makeup, mineral makeup, PRIIA, skin on February 2, 2018 by Kelley Maddison. 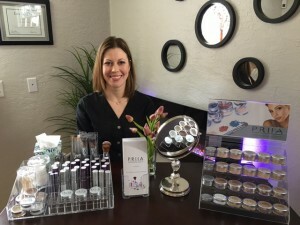 We are thrilled to add a new category to the PRIIA Beauty Buzz Blog: PRIIA Business Spotlight. We will be showcasing the FABULOUS businesses who sell the PRIIA minerale-derm line in their salons, spas and acne clinics. You’ll have an opportunity to get to know these hard-working small business owners and if you’re in their area, please consider contacting them for an appointment. PRIIA’s wholesale clients are an extremely vital part of our company’s success and we are honored to be a part of their businesses and lives! 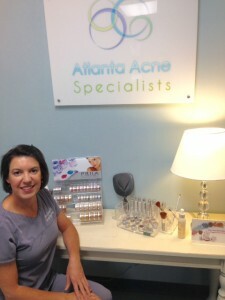 Get ready to read all about Rebecca Meyers and Elements Skin Care & Acne Clinic! What types of esthetic services do you offer? 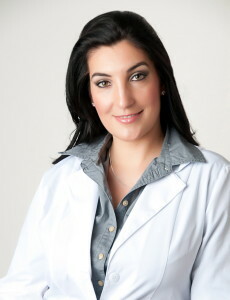 I am a certified Acne Specialist and I offer acne consultations and treatments, as well as long-distance acne coaching. I also offer clinical facial treatments & peels and DermaSound skin resurfacing. Why did you choose to offer PRIIA to your clients? 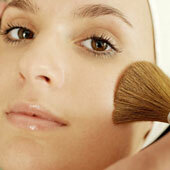 I own an acne clinic and providing the right makeup for my clients is imperative in successfully getting them clear. If someone is doing everything else appropriate for their skin but still using the wrong makeup (which most makeup is), it keeps them from achieving the results they are working so hard to get. Before I found PRIIA, I struggled to find a makeup line that met my criteria: didn’t clog, was moisturizing and provided full-coverage for acne-prone skin. PRIIA is 100% acne-safe and always will be, created by an acne specialist who is highly educated about acne (most manufacturers are NOT educated about acne). Not only will the entire line NOT clog pores, the ingredients are actually beneficial for the skin: anti-inflammatory, soothing, anti-bacterial, anti-aging and even hydrating. The PRIIA line has everything my clients are looking for (foundations, concealers, primers, brushes, etc.) and I especially love that the makeup is luxurious as well as completely functional. What is your favorite PRIIA product and why? The foundation creme sticks, hands down! Being in Alaska, we are constantly combating dry skin issues. My clients love the dewy and more moisturizing application and finish of a cream versus a powder and it had previously been really difficult for me to find them an acne-safe creamy foundation, let alone one that had such a beautiful, flawless finish. There are many happy women in Alaska right now! What do your clients think of the PRIIA minerale-derm line? So far, my clients are really happy with the PRIIA minerale-derm line. I’ve introduced it to all of my new clients, have switched over some existing clients and still have many others to transition into it. 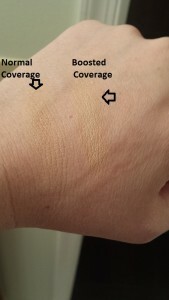 Everyone loves the packaging and convenience of the tubes, is fascinated with the brush-on application technique and really, really loves the finish and coverage of the mineral creme sticks and concealers. Nearly every single person I apply it to in my office cannot believe how beautiful their skin looks and they purchase it on the spot. A really common response after application is a disbelieiving, “WOW!”. Not only is this makeup healthy for the skin, it provides a beautiful finish too- very important with acne. I’ve had several clients reach out to me on their own to tell me how much they are loving their new makeup- we are all really happy! Here’s Rebecca proudly displaying her selection of the PRIIA minerale-derm line. Thanks Rebecca! You can find Elements Skin Care & Acne Clinic in Alaska by using our retail locator . This entry was posted in PRIIA Business Spotlight and tagged acne, beauty tips, concealer, cosmetics, makeup, mineral makeup, PRIIA, PRIIA Cosmetics, skin care on March 24, 2016 by Kelley Maddison. Get ready to read all about Teri Eastin and Atlanta Acne Specialists! 2 1/2 years so far. We see exclusively acne clients, specializing in moderate to severe acne. 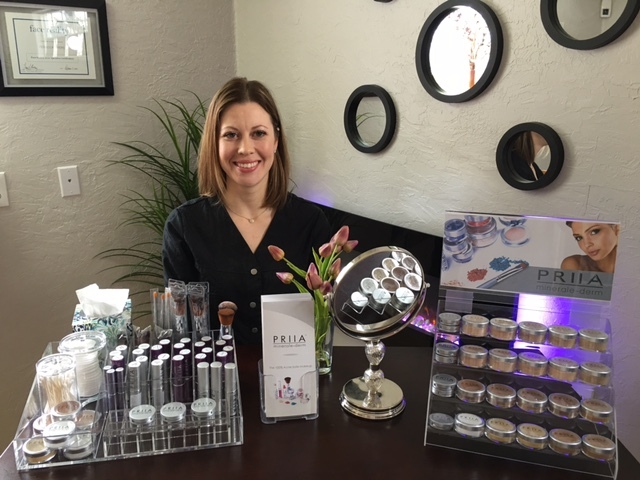 I chose Priia because Kelley, PRIIA’s owner, is an acne specialist as well and therefore understands my business and how important the right ingredients in each product are. I love that each ingredient has a reason and purpose for being there; no fillers or junk. It’s all good for the skin, good for acne AND everyone can wear it, not just those suffering with acne. Lastly, I know that the ingredient deck will never change and cause problems for my clients. That’s the biggest obstacle I have with mass produced products. The ingredient deck changes at random so you’ll buy it one time and it’s safe, but the next time it may not be. Oh, and one more thing. Everything is “made to order” so I know the products are fresh and have not been sitting on the shelf in a warehouse for months on end before they reach my office. My favorite Priia product is the loose powder foundation. It literally takes years off of me!! My clients love it because it’s light and looks natural, yet gives great coverage. I love the creme blushes too! My clients love this line because they know it will never cause breakouts. Education is key. I tell them to wear it a few times to give it a real chance. Priia is totally different from any other makeup you have tried. Give it a little time. You will fall in love!! Here’s Teri proudly displaying her selection of the PRIIA minerale-derm line. Thanks Teri! 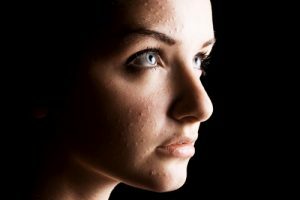 You can find Atlanta Acne Specialists in Georgia by using our retail locator . This entry was posted in PRIIA Business Spotlight and tagged acne, loose mineral makeup, mineral makeup, PRIIA, PRIIA Cosmetics on December 23, 2015 by Kelley Maddison. 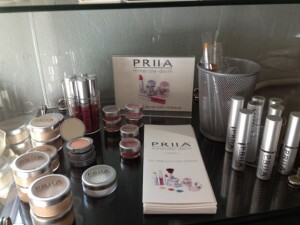 We are thrilled to add a new category to the PRIIA Beauty Buzz Blog: PRIIA Business Spotlight. We will be showcasing the FABULOUS businesses who sell the PRIIA minerale-derm line in their salons, spas and acne clinics. You’ll have an opportunity to get to know these hard-working small business owners and if you’re in their area, please consider contacting them for an appointment. PRIIA’s wholesale clients are an extremely vital part of our company’s success and we are honored to be a part of their lives! Get ready to read all about Nikolett Ivanyi of Envision Acne and Skin Care Center! We specialize in teen and adult acne treatments. Our unique Acne Free Skin Program ™ will clear up the skin in 90 days without the use of antibiotics or prescription medications. I have been looking for a make up line for years that I can safely offer to my acne clients. We tried many, but never found one that will provide full coverage, is non-comedogenic and is also reasonably priced. Luckily, one day I stumbled upon Priia and decided to give it a try. I was amazed by the coverage of the Loose Mineral Powder Foundation. It looks beautiful on the skin and provides a very natural look. I also love the fact that every single product from the line is 100% acne-safe and non-irritating for sensitive skin types. My favorite product is the Essential Cover Loose Mineral Foundation in Honey color. It helps even out my skin tone and covers any unwanted pigmentation. My clients always complement on how perfect my skin looks when I’m wearing Priia. In the summer time I like to dust a little Vacation in a Jar Mineral Bronzer over my foundation to achieve a nice bronze finish. My clients love how the foundation perfectly matches their skin tone. They also get excited about the great selection of acne-safe blushes and bronzers too. Here’s Nikolett proudly displaying her selection of the PRIIA minerale-derm line. Thanks Nikolett! You can find Envision Acne and Skin Care Center in New Jersey by using our retail locator . This entry was posted in PRIIA Business Spotlight and tagged acne, beauty, cosmetics, esthetician, loose mineral foundation, makeup, mineral makeup, PRIIA, PRIIA Cosmetics, skin, skin care on June 25, 2015 by Kelley Maddison. Today’s post is a step-by-step tutorial about how to get the ultimate full coverage using PRIIA Cosmetics Essential Cover Loose Mineral Foundation. There’s actually several ways to do this such as: adding multiple layers of loose foundation and layering our loose and creme foundation together. However, today we’ll teach you how to do the ‘Boosted Coverage Method”. 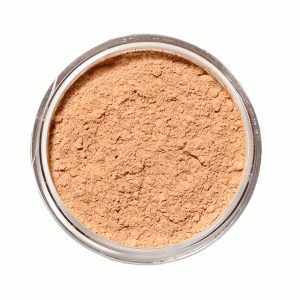 It’s so easy and perfect for those who use our loose mineral foundation for stage makeup and for those with severe acne/facial redness/hyperpigmentation. 1. 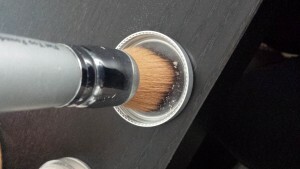 Dispense PRIIA’s loose mineral foundation into the lid of the jar. 2. Lightly mist your Flat Top Brush or Flat Top Buki with a favorite gentle toner (non-acid based) or DISTILLED water (do not use tap water). 3. If the brush is too damp, gently blot off any excess moisture on a tissue or the back of your hand. 4. 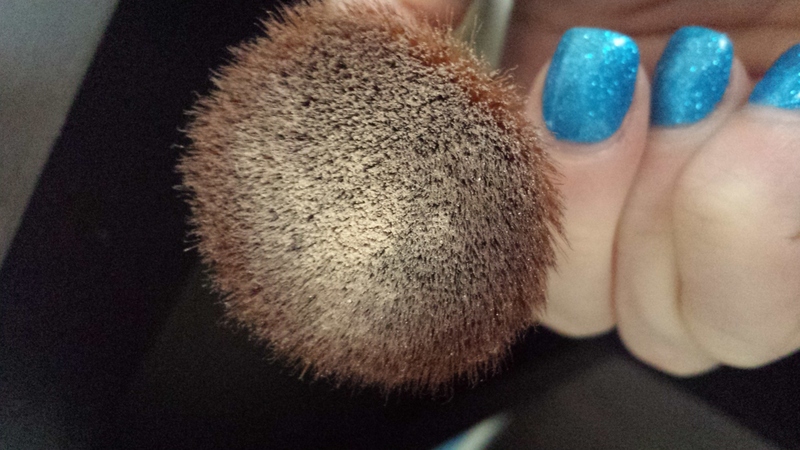 Dip the brush head into the lid to pick up the product. 5. Apply the product using PRIIA’s signature ‘Stamp & Blend’ method making sure to work quickly and blend out evenly into the hair line, past the jaw line and down onto the neck. We hope you enjoyed this product tutorial. If you have any questions or need assistance, please feel free to use the CONTACT US form at www.priia.com. This entry was posted in Expert Application Tips Revealed! and tagged acne, beauty, bridal makeup tips, loose mineral foundation, makeup, mineral makeup, PRIIA Cosmetics on June 3, 2015 by Kelley Maddison. 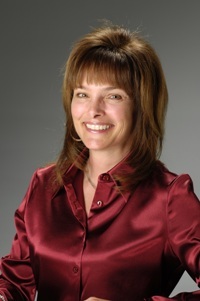 Get ready to read all about Brenda Griffin of Tucson Acne Clinic! This is in north central Tucson- about 3 miles from the University of Arizona with easy access from the U. 4. What types of esthetic services do you offer? We specialize in helping those who suffer from acne obtain clear skin and keep it that way. We also offer waxing, chemical peels as well as anti-aging facials. 5. Why did you choose to offer PRIIA to your clients? 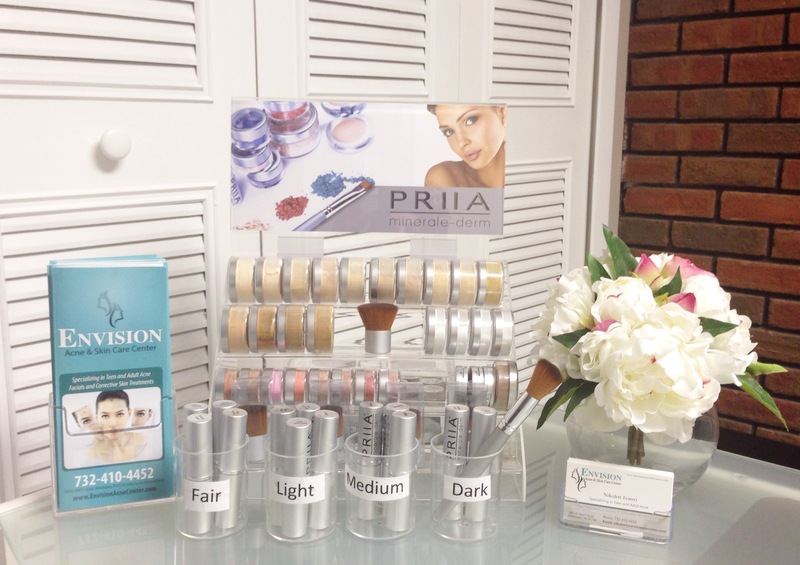 We chose Priia because it is a supreme make-up option for all of our clients. First and foremost because it will not clog the pores of acne sufferers. Anyone can wear Priia and look beautiful! 6. What is your favorite PRIIA product and why? Priia About-2-Pout Lip Glosses are my personal favorite. They go on silky smooth, no thick sticky feeling, will NOT clog pores around the mouth area and look beautiful! Second favorite would be the Priia Essential Cover Crème Mineral Foundation. Feels light, looks amazing and clients can’t get enough of it. 7. What do your clients think of the PRIIA minerale-derm line? Once clients try Priia they love it! They appreciate that they can purchase it while they are here and do not have to go out and find fabulous make-up that will not clog their pores and looks so great on. Here’s Brenda proudly displaying her selection of the PRIIA minerale-derm line. Thanks Brenda! You can find Tucson Acne Clinic in Arizona by using our retail locator . This entry was posted in PRIIA Business Spotlight and tagged acne, beauty, cosmetics, esthetician, lip gloss, mineral makeup, PRIIA, PRIIA Cosmetics, skin care on May 22, 2015 by Kelley Maddison.